I recently realized once I looked at my outfit, that I was clad almost completely in Stitch Fix clothes. I can’t believe I recently received my 15th box from Stitch Fix. It is a fun service to receive new clothing options. I receive a box nearly monthly and get to chose among five items. I like to shop, but I often shy away from prints because I don’t want to show up somewhere wearing the same thing as someone else – again. (Yes, it has happened.) But, with Stitch Fix, I feel more confident that I will be wearing something on trend, interesting and unique. Here are a couple of the pieces I received recently. 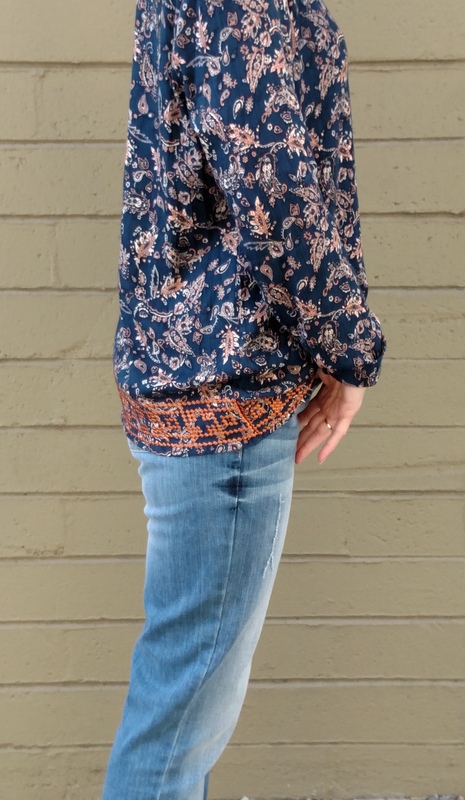 I really like the top, it’s a bit more boho than something I would usually pick out, but that is part of the process of finding your style and what works for you. The detailed embroidery on the this top is lovely. 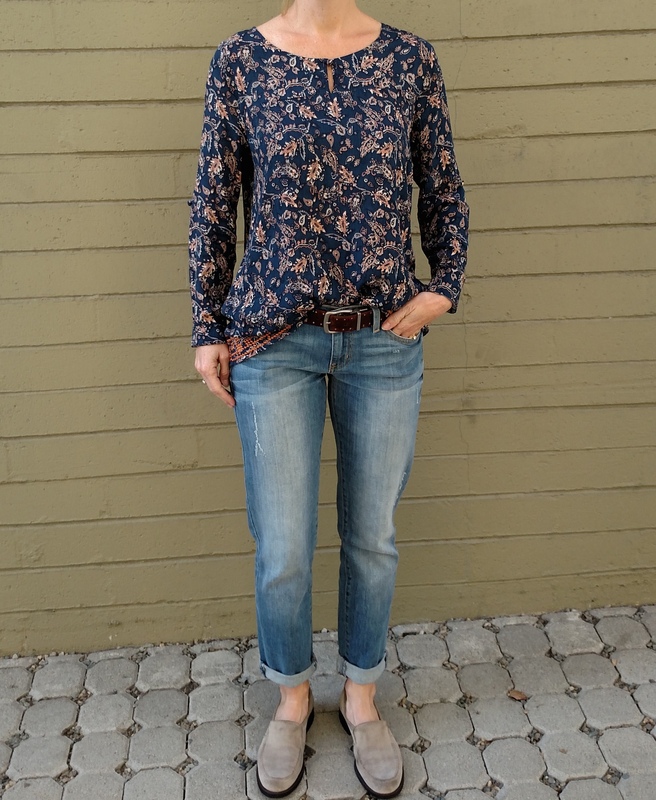 Stitch Fix has the best jeans. The sizing is almost always perfect. It is worth it for the jeans alone. 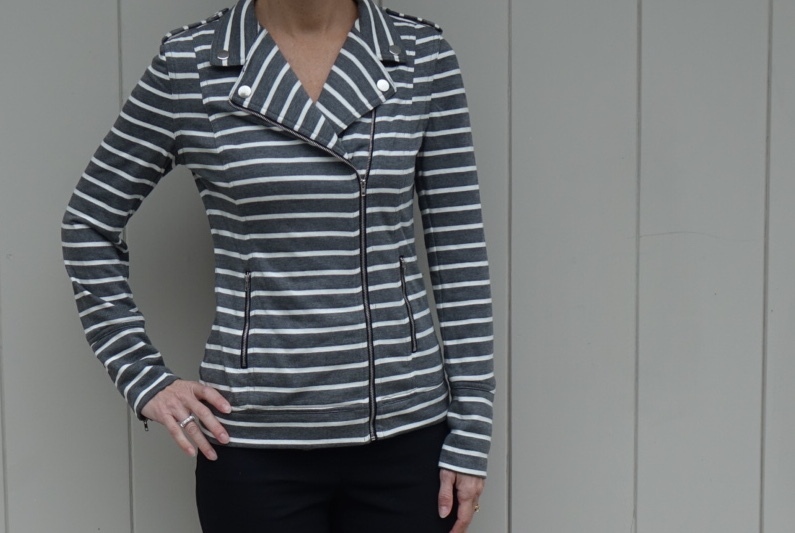 This moto jacket is fun and comfy. So glad I kept this one. Thanks so much. It’s really soft and comfy. Thanks for the comment too. love the jacket! is there a way to pin this image? Thanks for your comments. The social media buttons, including pinterest, are at the bottom of the post – right after the last picture. It should allow you to pin to your board. Have fun with your next box!